This book is a lens to help you take a closer look at what you may have taken for granted. Slow down, breathe deep and look around. What can you hear? What can you see? What do you feel? Are trees social beings? How do trees live? Do they feel pain or have awareness of their surroundings? 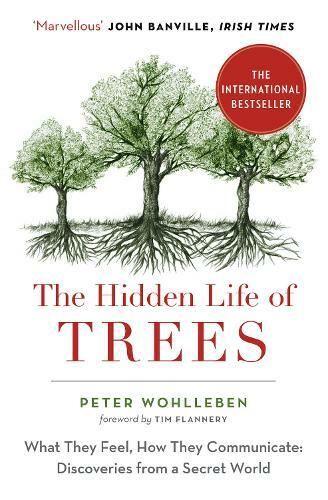 In The Hidden Life of Trees, Peter Wohlleben makes the case that the forest is a social network. He draws on groundbreaking scientific discoveries to describe how trees are like human families: tree parents live together with their children, communicate with them, support them as they grow, share nutrients with those who are sick or struggling, and even warn each other of impending dangers. Wohlleben also shares his deep love of woods and forests, explaining the amazing processes of life, death and regeneration he has observed in his woodland. A walk in the woods will never be the same again. A German forester, Peter Wohlleben spent over two decades working for Germany’s forestry commission developing radical new theories about ecology and arboreal communication. He is the author of the international bestseller The Hidden Life of Trees which was chosen as Waterstones Non-Fiction Book of the Month as well as The Inner Life of Animals and The Weather Detective. I bought this book for my son, a tree surgeon, who loves trees with a passion. He called me to thank me and to say that he is really enjoying reading it.